NEW DIVINE ENERGYWORK PRODUCT FOR YOU & YOUR ANIMAL CHUMS! to directly & easily enhance the flow of energy/life force through the meridian system. pulse through more chi/life force/prana in the system. It's gentle, direct & powerful. You and your animals will feel and benefit directly from the effects. This recording is to be used again and again. You may want to play it often for yourself and your animals. flow and energy in bipeds and quadrupeds alike. The embedded energetics in this recording will never wear out, so you can use it for life. The entire recording is 13:42 long and it delivers endless energetic benefits to enhance the life force. It's just $47.00 and available for immediate download. ​would order it themselves if they could find your credit cards or PayPal account information!!! 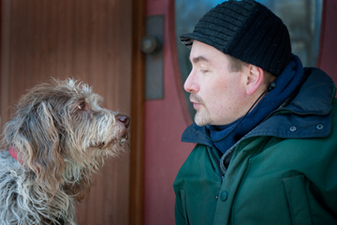 Rudy Hunter continues to bring unique & powerful healing tools to you and your animal chums. Use it well, often and enjoy! Mikey either teaching Rudy about the animal energetic system...or...Mikey trying to hypnotize Rudy into order a pizza! ​know about this new energetic tool & deal so they can benefit and help their animals too?